Self care is so important – especially when things are so hectic every day. We rush to do as much as we can, as fast as we can – only to find ourselves left exhausted and tired of everything. Spending time taking care of yourself is a perfect way to recharge yourself, maintain better health and a positive relationship with your mind, body & soul. Feel better every day by simply taking more care of yourself? Create a self care routine that fits you and your lifestyle? Develop a healthy habit of everyday self care? This printable Self Care Planner is everything you need to achieve all of those things. 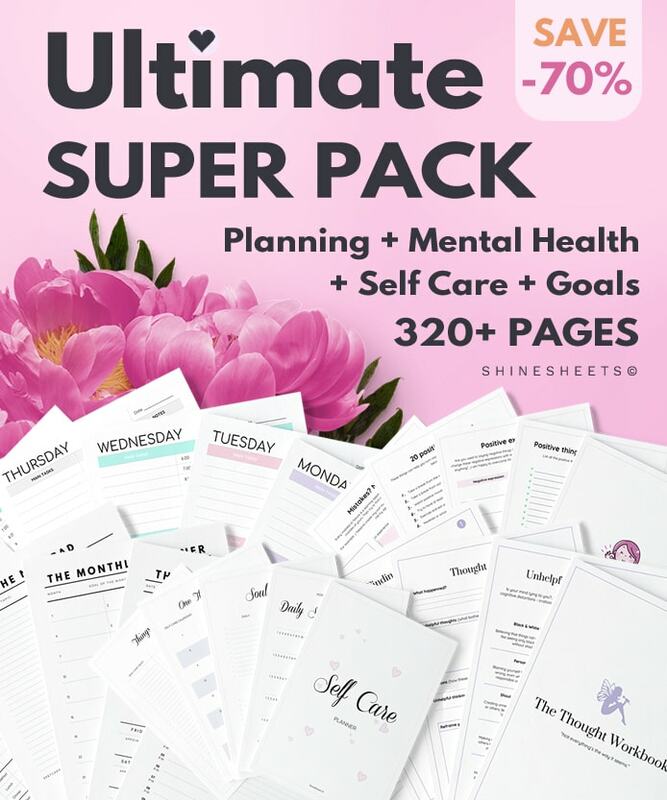 Start taking the best care of yourself today with this easy and uncomplicated planner! Create your own routines, track your self care acts, set priorities and simply develop a sincere, loving relationship with the most wonderful person – you. 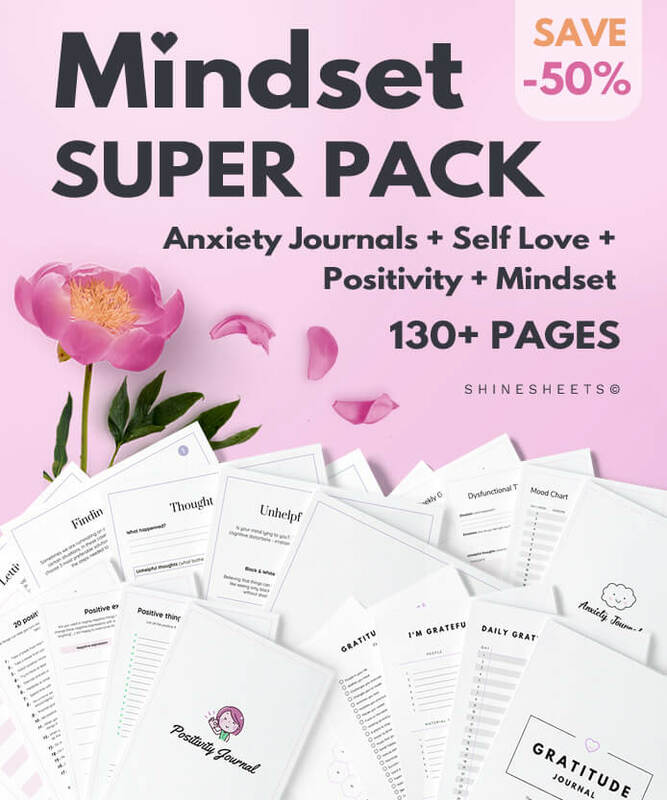 This Self Care Planner is also a great gift for a friend, family member or even little princesses who are only starting to develop their first self care habits. Spend some time taking care of yourself – it’s guaranteed you need more of it. Your body, mind, and soul need to rest and be cared for daily to make sure you feel your best and stay healthy. There’s so much you can do to start taking better care of yourself! 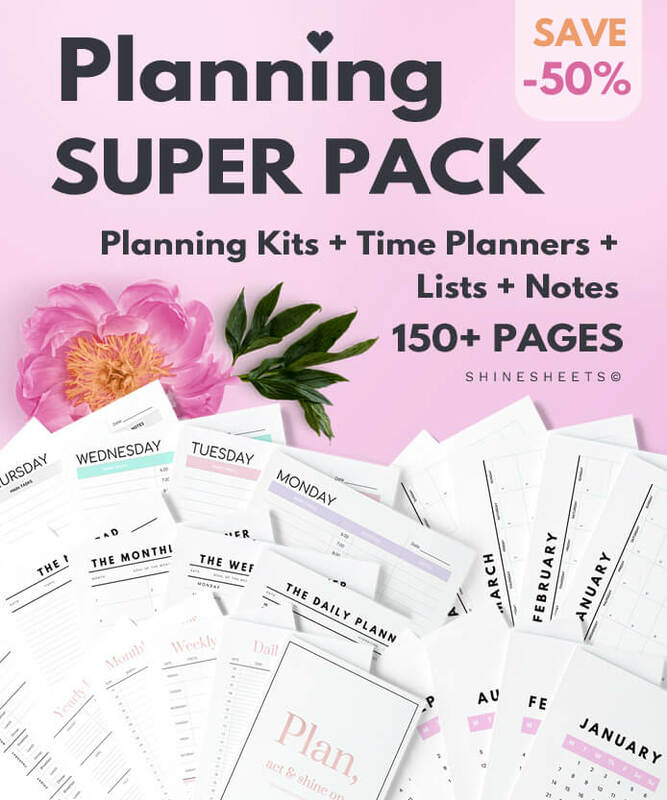 This planner will help you keep things simple and organized and is probably the best gift a busy woman can give to herself. ○ Plan, create and prioritize your self care routines in a simple and easy way. ○ Stay inspired to take care of yourself with self care lists, quotes, and trackers. Download and print this planner. You can jump start and use mind, soul, body, skin and hair care pages to plan your routines or decide on your self care priorities first. While planning your routines, don’t be afraid to be as broad or specific as you need. It doesn’t matter if you have 3 or 15 items in your skin care – it only matters that you intentionally spend some time on yourself. If you want to have another kind of care (example: “my creativity expression”), go ahead and use a blank template – it’s perfectly designed for unlimited routine creation. Next, use your planned routines. Track your self care acts in a daily self care tracker to form a healthy habit of self care. If you are very busy, don’t forget your self care completely (yes, it’s easy to do that!). Try to find time for at least one thing a day and track too. List down things you want to try and keep adding them to your routines to stay motivated and excited. Some days you may want to simply write down your thoughts and relax. 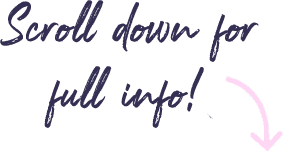 Use an included note page to write it all out and decompress. If you never tried self care or feel skeptical about it, I urge you to simply try it for a few days and see how you feel. Here is a ton of ideas related to self care to boost your inspiration. I haven’t had a chance to print them out but, I looked through them and I can’t wait to use them. It is a great resource. Very pretty planner, easy to use. I love when my planners are ‘clean’ and ‘airy’. This one is both. The quotes are very nice too. Great quality overall. Its perfect, just what I needed. Thank you so much! !